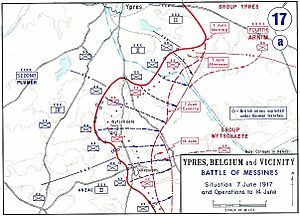 The Big Push for June was the Battle of Messines, which marked the beginning of Britain’s Flanders Offensive; like the French they apparently could not wait for the Americans. The assault was launched on 7 June with the detonation of nineteen mines under the German lines, catching the enemy by surprise and promptly killing 10,000 troops. The mining had begun in 1915 – so little had the front changed – and 454 tons of explosives went up in twenty seconds, dwarfing the Somme mines and creating the largest explosion in history before the Trinity bomb. 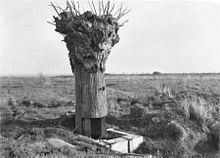 The effectiveness of the British mines and creeping barrage allowed the most important objective, the Messines ridge, to be taken on the first day, and when the battle ended a week later, it remained in Allied hands. The offensive was certainly a tactical success, gaining the high ground, as it were, and setting the stage for the next advance, but one (who was not an Allied general) might question the strategic gain. The ridge cost each side some 25,000 casualties. 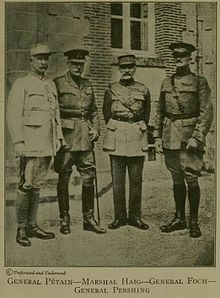 Certainly a greater boost to Allied morale was the arrival of General John Pershing in France on 13 June and 14,000 troops of the American Expeditionary Force on the 25th. 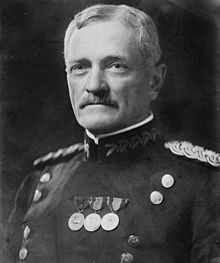 The Allied commanders wanted to immediately send them to the front, but Pershing wanted more training and was adamant that his boys would fight as American units not simply replacements. 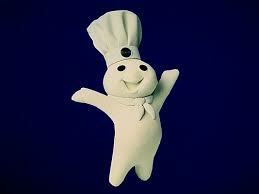 The doughboys (from the adobe dust in the Mexican war?) would not hit the trenches for another several months, but their presence was already a clear boost to morale. 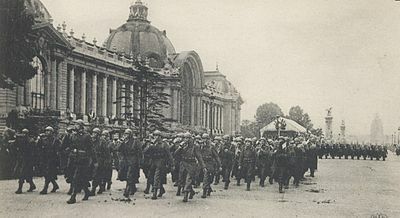 Speaking of morale, on 8 June the French military began seriously dealing with the mutiny with arrests and courts-martial, but with surprising restraint, which annoyed many of the generals. 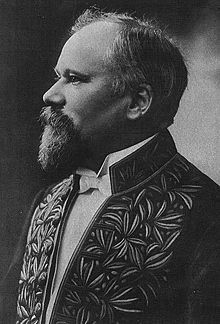 Nevertheless, Philippe Pétain, the new Chief of the General Staff, and President Raymond Poincaré supported a lighter touch, and while there were 629 death sentences handed down, only 43 executions were actually carried out. More effective in restoring order was the institution of regular leaves and a promise of only severely limited offensives until the Americans arrived in strength. 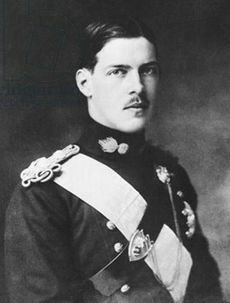 On the Greek “front” the Allies demanded on 11 June that King Constantine abdicate, which he did the following day, passing the throne to his son, who became Alexander I. Alexander was clearly a puppet of the Allies, who now occupied more Greek territory, but under his “rule” Greece would benefit from the Allied victory. Unfortunately for Alexander, he would die from a monkey bite in 1920, to be succeeded, ironically, by his father. 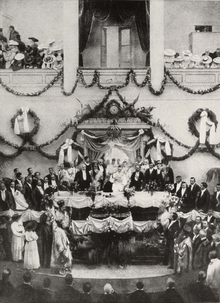 Venizelos, leader of the provisional government in Salonika, became Prime Minister on 26 June and took power in Athens the next day. Greece was now formally at war with Germany, Austria-Hungary, Bulgaria and the Ottoman Empire. 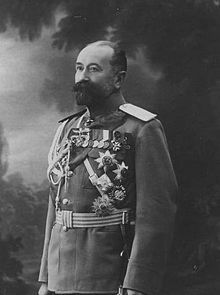 Off in the new Russian Republic the Provisional Government turned down a German offer of an armistice on 9 June, perhaps not a good decision inasmuch as by 21 June the Black Sea Fleet was in full mutiny. Kerensky believed that a successful offensive in Galicia in July would restore military morale. In miscellaneous news, Italy announced a Protectorate over Albania on 3 June…and on 8 June the Tenth Battle of the Isonzo ended with no gains and 150,000 Italian casualties. 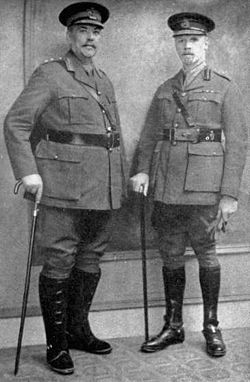 To the southeast Edmund Allenby, formally of the Western Front, took over Commonwealth forces in Egypt, bad news for the Turks. 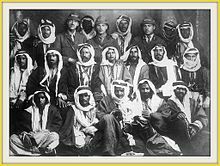 And Colonel Lawrence and Auda Abu Tayi (“I am a river to my people.”) and his Howeitat were on their way to Aqaba. 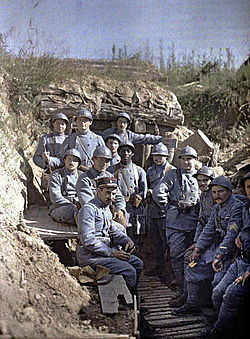 May began with the last gasps and final failure of the Nivelle Offensive. The Third Battle of the Scarpe and the Second Battle of Bullecourt began on 3 May; the former ended the following day, while the latter dragged on until 17 May. 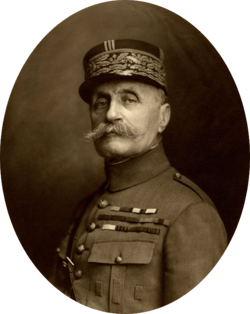 The Nivelle Offensive was over, but the unexpected repercussions were just beginning. 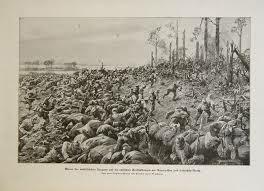 When the Second Battle of Bullecourt began, the French 2nd Division mutinied and refused to attack, and the infection quickly began spreading to other units. By early June, when the authorities began responding seriously to the mutiny, half the 112 or 113 divisions of the French army had been affected to some degree. The mutiny was more of a work stoppage than a revolt. No officers were assaulted, and the strikers, mostly seasoned veterans, were willing to fight, just not engage in more futile offensives that completely ignored the realities of twentieth century warfare. And although pacifist and socialist pamphlets circulated in the trenches, there was no real political movement behind the mutiny. The troops were simply sick of being sacrificed for nothing on the altar of the Big Push by men who appeared to have little understanding of modern war. Unsurprisingly, Paris and London promptly attempted to institute a news blackout, fearing the effect of the mutiny on Allied and German morale, a perhaps sensible but certainly unethical and undemocratic move (remember General Westmoreland and Secretary McNamara?). One could argue this was necessary for the war effort (and this war was clearly more vital to France than Vietnam was to the United States), but sealing all the pertinent military and political records for fifty years was simply to protect the generals and politicians, who would be long dead in 1967 (when the first detailed book on the mutiny appeared). And the ultimate silliness: some (apparently) political documents were sealed for a hundred years, a senseless classification procedure that still goes on. The repression of the mutiny belongs to June, but there was already a major casualty in May. 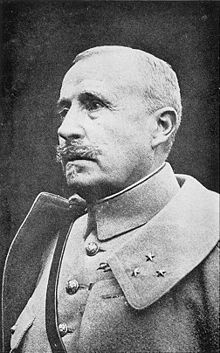 Actually, there were already as many as 187,000 French, 160,000 British and 163,000 German casualties, but on 15 May Nivelle was cashiered and replaced by Phillippe Pétain of Verdun and later Vichy fame; in December he was appointed Commander-in-Chief in North Africa, which is to say, he was exiled from the war. 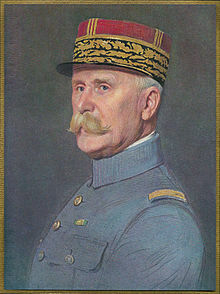 Pétain was replaced as Chief of the French General Staff by Ferdinand Foch, hero of the Marne in 1914. 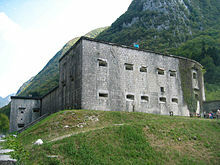 To the south General Cadorna launched the Tenth Battle of the Isonzo on 12 May. What, again? 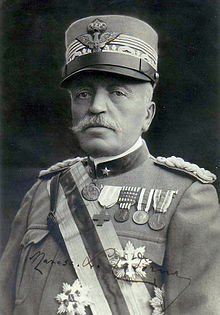 Well, General Haig and the French had resisted PM Lloyd George’s idea of sending Allied troops to help the Italians knock out the Austrians before they were stiffened by German troops, but Nivelle nevertheless pressured Cadorna to plan an offensive to coincide with his own. 400,000 thousand Italians attacked half that number of Austrians and got within ten miles of Trieste before the inevitable counterattack drove them all the way back. The result when the battle ended on 8 June was 157,000 Italian and 75,000 Austrian casualties and no gains. Cadorna would try again. On the Macedonian front the fighting died down with the end of Second Battle of Dorian on 9 May. A small scale operation in Western Front terms, the battle began on 24 April with an attempt to take the city from the Bulgarians and failed, just like the First Battle of Dorian in August 1916, when four Allied divisions were repulsed by one (larger) Bulgarian with 3200 casualties, four times that of the enemy. 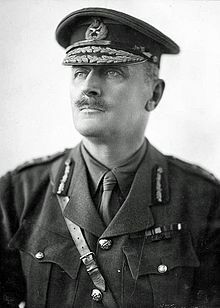 This time three British divisions (43,000 men) under General George Milne were smoked again by a single Bulgarian division (30,000 men) under General Vladimir Vazov, losing 12,000 men, six times as many as the Bulgarians. There would of course be a Third Dorian. 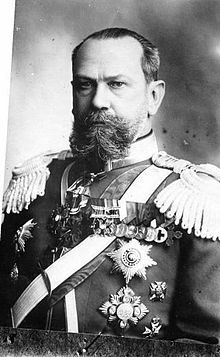 Other news from Greece: on 20 May the Serbian Government in exile moved from Corfu to Salonika, and more ominous, on 28 May an Anglo-French conference began in London to consider deposing King Constantine and occupying all of Greece. Finally, there were a number of political and command developments. 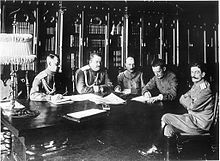 On 10 May John “Black Jack” Pershing, fresh from chasing Pancho Villa across Mexico, was appointed Commander of the American Expeditionary Force, and eight days later the Compulsory Service Act – the draft – became law. 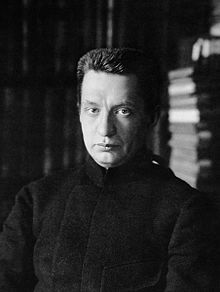 In a very different place, Russia, Alexander Kerensky, who had played a prominent role in the February Revolution, became on 16 May Minister of War for the Provisional Government, which two days later declared there would be no separate peace (as the Bolsheviks wanted). 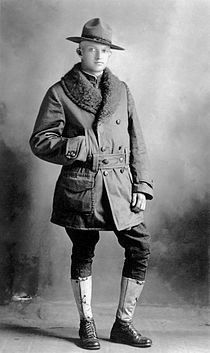 And a dramatic forecast on 7 May: a single German plane – probably a Gotha G.IV – made the first night raid on London, anticipating the Blitz a quarter century later. 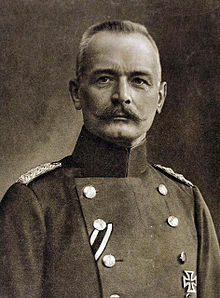 When we left Verdun at the end of February, the German offensive had stalled because of mud, and von Falkenhayn began considering whether to cancel the operation. The expectation had been that artillery could suppress the enemy guns on the west side of the Meuse, but this did not prove to be the case, and the French artillery, well-positioned on heights and behind hills, wreaked havoc among the German troops advancing along and to the east bank of the river. 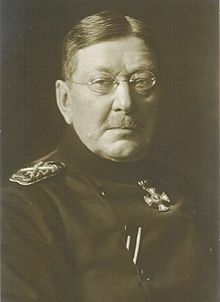 But the front crossed the Meuse north of Verdun, and von Falkenhayn was convinced by subordinates that a southward advance on the west side of the river could silence the French guns. 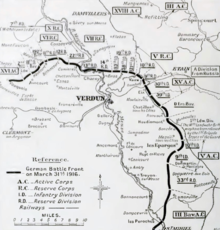 General Heinrich von Gossler’s plan involved assaulting the village of Mort-Homme and Hill 265 (sounds like Vietnam) near the Meuse on 6 March and then Avocourt and Hill 305 to the west on 9 March. Like so many offensives on the Western Front, it did not work out that way. Despite a heavy bombardment – Hill 304 was lowered by seventeen feet – the French artillery and counterattacks slowed the advance and inflicted great casualties. Only after a week did the Germans achieve the objectives for the first day, capturing Hill 265 on 14 March. 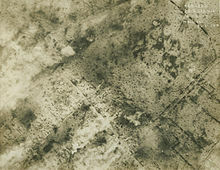 On 22 March two German divisions attacked a position near Hill 304 and were slaughtered by a rain of shells, and the offensive came to an end. By the end of the month the Germans had suffered 81,607 casualties for minimal gains, and Verdun was still French. There would be nine more months of this. 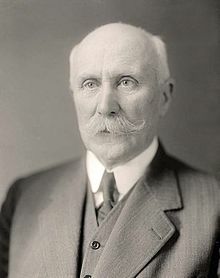 The commander on the French side at this time, incidentally, was General Philippe Pétain, who would later become the head of state of the Germany puppet Vichy France (1940-44). 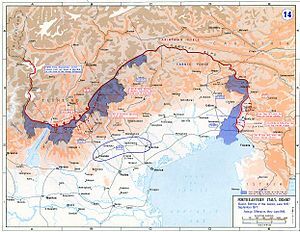 Elsewhere in the war, the Fifth Battle of the Isonzo began on 9 March. The Italian army in the north had been rested and refurbished, and the French were pressuring Rome for an offensive. After four failed attempts one must suspect that there was little expectation of any breakthrough, and the point of the operation was in fact to relieve the pressure on the Russians and on Verdun, though how that would happen is not at all clear, especially in the case the French at Verdun. 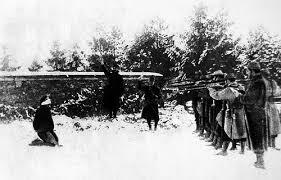 Even General Cadorna termed the offensive a “demonstration,” which label of course made no difference to the troops, who would be just as dead when shot. Though some fighting continued to the end of the month, the battle essentially ended after only six days because of the horrible weather conditions, demonstrating once again the futility of these assaults. 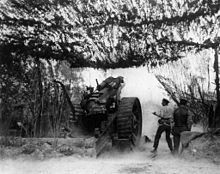 Despite an almost three to one advantage in men and guns the Italians could make no headway, and each side suffered just under 2000 casualties. How fine to die for your country in a pointless “demonstration.” Incidentally, the stony ground and cliffs made this front even more dangerous, since every shell impact would produce a deadly cloud of stone splinters. Under the same pressure to take some of the heat off the Western Front on 18 March the Russians launched the Lake Naroch offensive in White Russia (Belarus). 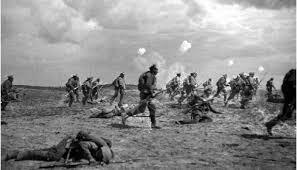 The Russians had more guns and three times as many troops as the Germans and came up with a somewhat less than novel plan: (inaccurately) shell the German positions for two days and then send bunched formations of infantry charging across the muddy ground. 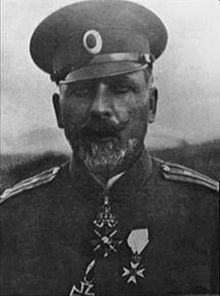 By the end of the operation on 30 March General Alexei Evert had gained six miles and lost 110,000 men to the Germans’ 20,000 (German estimates). The Germans promptly retook the territory. Meanwhile, the British troops besieged in Kut on the Tigris River had enough food to last until the middle of April, and in any case the spring rains would soon make the whole area a disease-ridden quagmire. 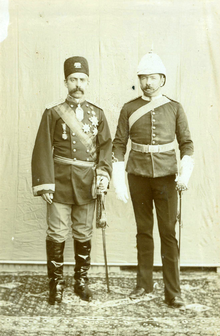 On 8 March a relief force of some 20,000 under General Fenton Aylmer reached Dujaila, downriver from Kut, and assaulted a Turkish force half their size. But the Turks, under the command of Golz Pasha and Halil Pasha (Halil Kut, a major actor in the Armenian genocide), had fortified Dulaila well, having learned a lot about entrenchment from Gallipoli. 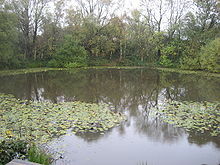 Aylmer lost about 4000 men to Golz’s 1200 and retreated down the river. He was sacked on 12 March. 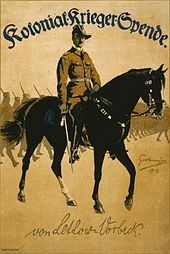 In Africa General Jan Smuts, who had fought against the British in the Second Boer War, invaded German East Africa (Burundi, Rwanda and Tanzania) on 5 March. 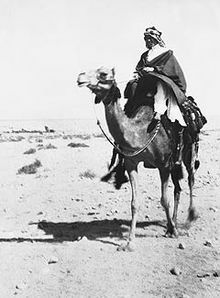 With an army of over 70,000 South Africans, Indians and Africans he struck southwest from British East Africa (Kenya), while Belgian forces attacked from the west. 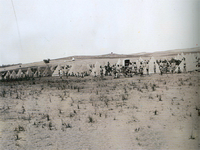 On 10 March Smuts took back Taveta, just east of Mt. Kilimanjaro, and three days later Moshi, south of the peak. 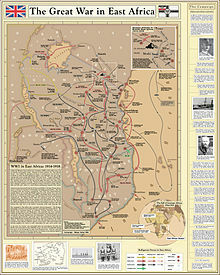 The capture of Kahe, south of Moshi, on 21 March brought an end to the operations around Kilimanjaro; the Germans had left. 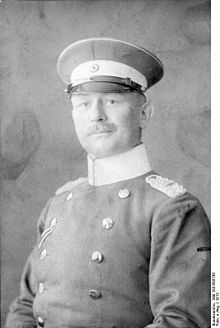 Lettow-Vorbeck had only 13,800 troops, mostly Askaris, and had no choice but to withdraw when faced with overwhelming numbers, something easily done given his superior mobility. 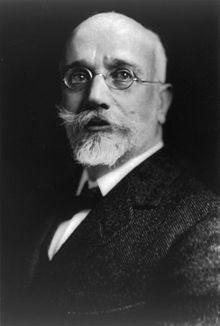 The Allies would steadily capture real estate, but never Lettow-Vorbeck, and meanwhile their troops were dying of disease. The remainder of the events of March 1916 were of a political or strategic nature. True to its word, on 1 March Germany expanded its submarine warfare, ultimately bringing the United States closer to involvement in the war. On 9 March Germany declared war on Portugal, which had refused to return German steamers captured on the Tagus River in February; with even less reason Austria-Hungary also declared war six days later. 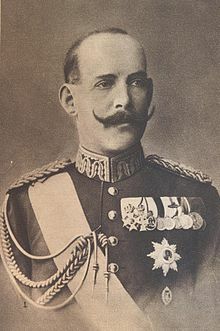 Actually, inasmuch as Portuguese East Africa (Mozambique) bordered on German East Africa there was indeed a point of contact between the two countries, and Lettow-Vorbeck would happily use that territory in his Great Chase with the British. 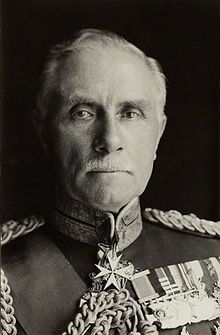 Allied interference in Persia continued, with Russian operations in the northwest and British forces – the south Persian Rifles under Sir Percy Sykes – in the south. 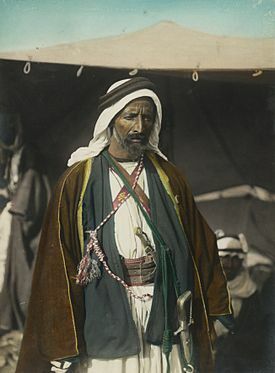 On 25 December 1915 the Allies had “persuaded” the Shah to appoint a more pro-Entente Prime Minister, Prince Farman Farma, and now on 5 March he and his cabinet were compelled to resign for refusing to support Russian-British control of the Persian military and finances. Anglo-American meddling in Iranian affairs was just beginning. More “resignations.” On 15 (?) 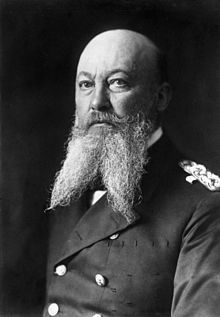 March Grand Admiral Alfred von Tirpitz, the father of the German navy, resigned as Secretary of State of the Imperial Naval Office, having lost the support of the Kaiser and naval establishment because, ironically, of his support for unrestricted submarine warfare. More emblematic, on 29 March Alexei Polivanov, who had been struggling to reform the Russian army, resigned as the Minister of War. 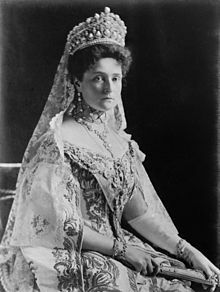 In August 1915 he had argued against Nicholas’ assumption of supreme command and thus alienated Alexandra, who persuaded her husband to sack him. One can hardly get choked up about the impending execution of this couple.